Shed some light with the Hand Press Dynamo LED Flashlight! This hand-powered torch makes any dark situation brighter. 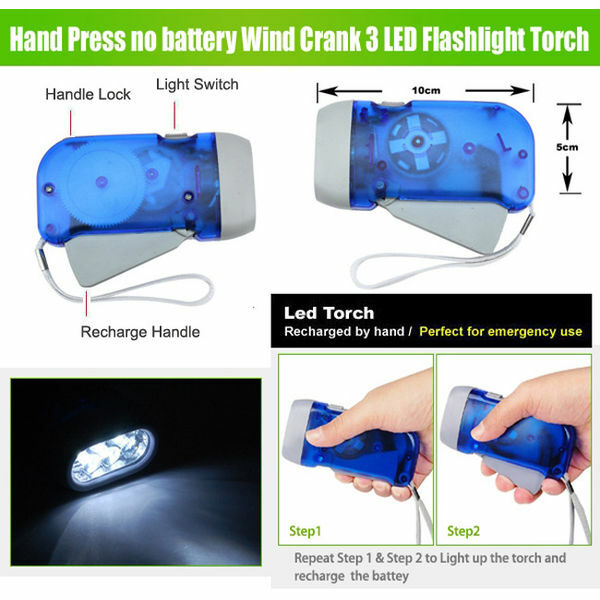 The Hand Press Flashlight possesses a dynamo trigger that generates power just by pressing its handle in a rapid way. No more worries about drain-out batteries and leaks due to prolonged storage. Get light anytime by putting this beside your bed, in your closet, in your car, in your bag, virtually anywhere. The Hand Press Flashlight can generate power by just pressing the Dynamo trigger. No Batteries required for this eco-friendly device. Ultra-bright LED provides long burst of illumination. Ideal for camping, blackouts and emergencies where you need light. Constantly using this dynamo health torch, it can benefit your palm, arm and shoulder stretching and blood circulation.